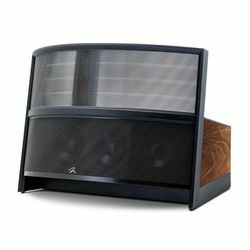 The Martin Logan Expression ESL 13A Speakers are available for demonstration in our Hull store by request. The Martin Logan Expression ESL 13A Speakers are part of the Masterpiece Series. Featuring a dual 10-inch bass driver system common in the more expensive Martin Logan Speakers, the ESL 13A takes the bass performance a step further with the introduction of Anthem ARC technology, for a more balanced and controlled low-frequency response. The combination of the ARC technology alongside the bass drivers, plus Martin Logan’s signature 13-inch wide XStat CLS transducer, delivers a truly great expressive and dynamic performance. The Impression ESL 13A shares similar DNA with other Martin Logan electro statics, such as, Advanced MicroPerf stator technology, allowing for almost twice the exposed electrostatic diaphragm surface as a traditional electrostatic panel of the same size. A reinforced electrostatic panel with rigid ClearSpar™ spacers, keeping an exact level of tension on the vacuum-bonded diaphragm. Add to these the slender, pointed-arrow design of the new AirFrame™ Blade construction. The electrostatic panel is precision manufactured from an aerospace-grade shaped aluminium alloy. This material, and this exclusive manufacturing process, makes the panels extremely rigid. 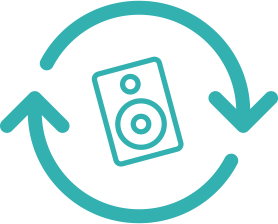 Resulting in a perfect connection between the panel and the bass cabinet. 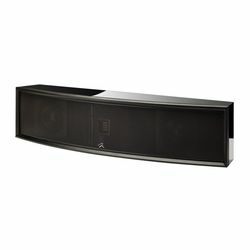 What sets the Expression 13A speakers above other Martin Logan’s are some breakthrough redesigns. The 13A bass section is now powered by new dual 300-watt Class-D amplifiers, and controlled by a 24-Bit Vojtko™ DSP Engine and ARC™ (Anthem Room Correction). Using two 10-inch laser-engineered low-distortion aluminium cone bass drivers in separately enclosed compact chambers, exclusive PoweredForce Forward™ bass alignment technology controls the interaction between the rear-firing driver and the wall behind it. Minimising the effect that a wall has on bass performance, that might bounce back into the listening room. As you would expect from Fanthorpes hifi, we offer a generous part exchange against the Martin Logan Expression ESL 13A Speakers. If you have any hifi that you wish to use as part payment against the Martin Logan Expression ESL 13A Speakers then either call us on 01482 223096 or email us at shop@fanthorpes.co.uk and we will give you a price to change. 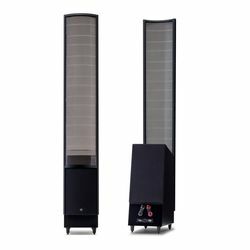 This is a fantastic and hassle free way of making the Martin Logan Expression ESL 13A Speakers more affordable. Low Frequency Transducer: Two 10” (25.4 cm) PoweredForce Forward™ woofers with cast basket, high excursion, rigid aluminium cone and extended throw drive assembly, non-resonance asymmetrical chamber format. Impedance: 4 Ohms, 0.7 at 20kHz. Compatible with 4, 6, or 8 Ohm rated amplifiers.